This story occurred in 1977 and was told by a resident of Nevada, Cherry Hinkle (Cherry Hinkle). According to her, once her 13-year-old son Mark and another boy were walking around and trying to explore old mines. 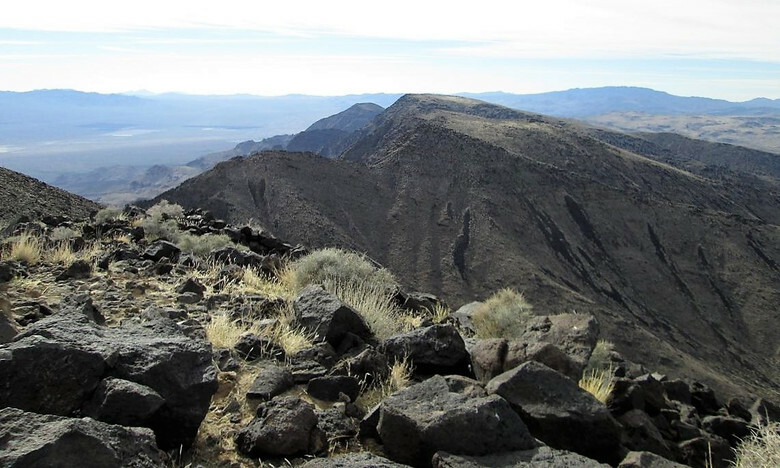 Then they went to Mount Black or Black Mountain, which is in the McCullough Range in Nevada. This mountain is dotted with a variety of old mines and when the boys approached the Black Mountain, they noticed a small hole in the stones. Mark and his friend felt an irresistible desire to explore what was inside the passage. The move was so low that the guys had to crawl over it. However, only the entrance was narrow. Soon the teenagers found themselves in a small cave 9 feet (2,7 meters) long, where they could stand up to their full height. In one corner of this cave was a pit and down a dark deep course. None of the people would have climbed there into the darkness, but there was a "ladder" created by nature itself, because it was made from the wriggling thick roots of plants. In addition, Mark and his friend again felt an irresistible desire to come down. Downstairs there was another room and when the children were in it, they heard unusual voices, as if from somewhere nearby. And also buzzing. similar to the operation of some mechanism. From this room led a long tunnel in which the boys found a large iron door, covered with rust. Next to the door on the stony floor lay a wand-rod, which seemed to be made of some kind of aluminum-like material and with small icons on the surface. When Mark and his friend examined the strange object and the door, they again heard the sound of voices, still unable to make out the speech. The tongue was strange and guttural. The guys got scared and decided to get out of here. At the moment when they decided to escape, the steel door creaked and a sinister growl sounded. At the same time, a figure of a large green lizard-like creature appeared from the half-open door. Mark and his friend ran as fast as they could and climbed out of the cave. At the same time, they took with them that strange rod that they found at the door. After getting out and running into the city, they told Cherry everything and showed her the artifact. "I had a good look at the strange symbols engraved in the 3-inch section on the staff, there were different sizes of spirals, circles and a few triangles and some other unknown symbols to me." There were no buttons or levers, there was a cap at the end but he did not move either.The surface of the object was smooth to the touch, it was not like a toy, it was obviously professionally created for something, but none of us understood why. " This object, however, was apparently so dear to the reptilian being that it aimed to return it. That night in Cherry's house everyone was fast asleep, when what happened to Cherry was a chain of absolutely fantastic events. "It was about 2 am when my son Mark woke me up, he shook me by the shoulder and whispered that someone was trying to climb into his bedroom window, I thought that he had a nightmare, because because of the day's events, his nerves were at the limit. But when we cautiously went into his room, we heard in the silence near the window scratching sounds. And then in the light of the moon I saw in the window an anthropoid silhouette - head and shoulder line. I was alone in the house one night, without a husband and with four children, but I still decided that I would protect us. I grabbed the flashlight and flipped the curtain from the window, lit this man with the light from the lantern. I saw a large head with crests at the top, the same crests were on the cheekbones, and the eyes of the creature were absolutely golden in color! Mark and I stood shocked and looked at this creature, and this lizard man tried to open his bedroom window with his own hand. The hand was disgusting with the membranes between the fingers, and the fingers themselves were crooked and with long sharp claws. Probably only a few seconds passed, but they seemed to me minutes, and I decided that I had to do something. My hand was still holding a flashlight aimed at the head of this creature, and with the other hand I was fumbling in the dark to find something that could be used as a weapon. And then this creature apparently realized that I would resist. It suddenly looked at my hand and then looked directly into my eyes. Then it slightly tilted its head and slightly opened its toothy mouth, as if intending to say something. But then it suddenly jumped off the window and fled, hiding in the night rocky desert. " The woman decided that this creature came for his instrument, that strange rod. The next morning she, her husband and son Mark, who had returned from the night shift, decided to go together to that cave and return the object to a lizard-like creature. 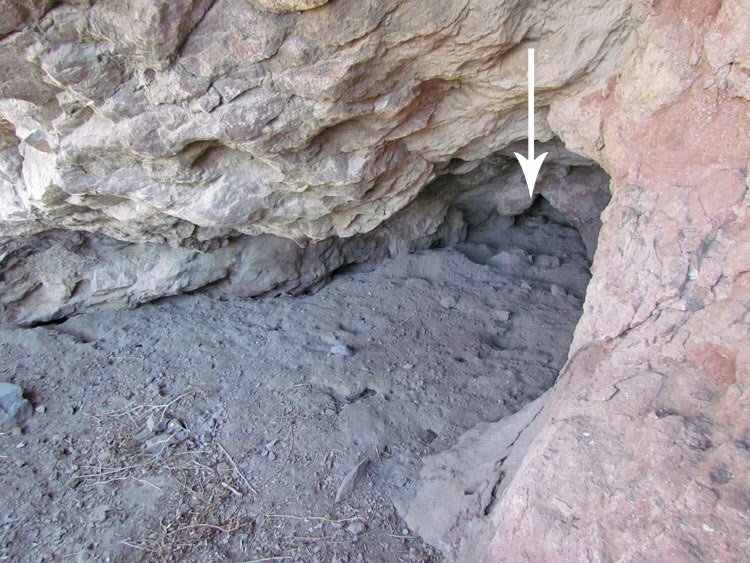 According to the story of Cherry, they found that cave and left the rod at the entrance to it, because they were afraid to go inside. 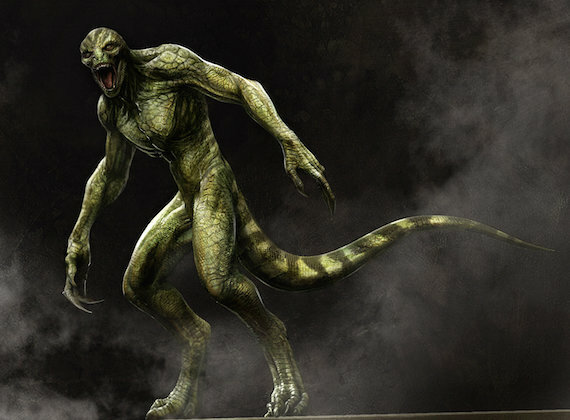 On this the story ends and even decades later it remained unknown whether the reptilian came for his rod again or he found it at the cave and was satisfied with the result and no longer disturbed the people. Also, there are no more stories about observing mountain lizards at Mount Black.